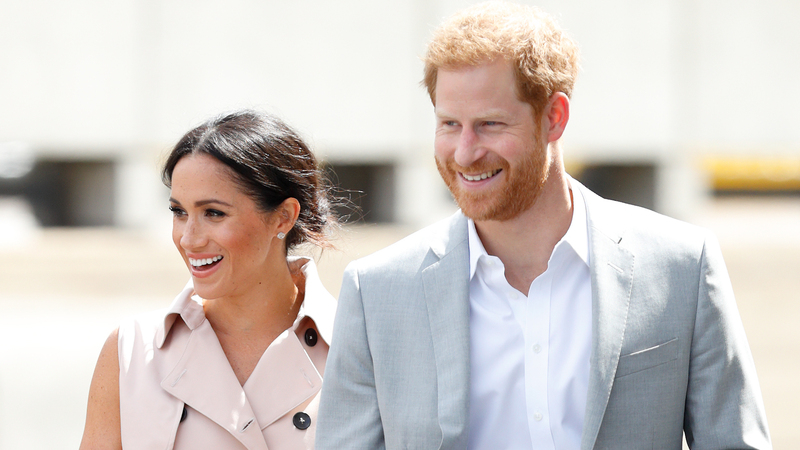 Since getting hitched on May 19, Prince Harry and Meghan (née Markle) have jumped headfirst into their royal duties as the newly minted Duke and Duchess of Sussex. And while most of their obligations have been in the U.K., rumor has it the beloved couple could soon be coming to U.S. soil. The buzz began earlier this week when Prince Harry underscored his support for the charity Walking With The Wounded, which is organizing a coast-to-coast walking tour of America from June 2 to Sept. 6. Kensington Palace was quick to point out that Prince Harry would be patronizing the event and not actually be walking in it. However, the fact that the cross-country march kicks off in Meghan’s hometown of Los Angeles presents a perfect opportunity for the pair to visit — especially since, per Vanity Fair sources, the royal couple’s first overseas tour is already in the works. The speculation at this point is that Harry and Meghan will begin their time in North America with an extended stay in Canada, which is a Commonwealth country. “Canada is on the cards. There’s a lot of talk at a high-up level and among the powers that be that it will be the first country the couple visit,” a source told Vanity Fair. And Canada would certainly be a sort of homecoming for the Duchess of Sussex. Having spent much time there while filming Suits, the former actor reportedly developed a close friendship with Prime Minister Justin Trudeau and his wife, Sophie Grégoire Trudeau. Of course, Canada is just a hop, skip and a private jet ride away from LA, which is allegedly at the top of Meghan’s list of must-stops. "Meghan wants to take Harry home once they are married on a formal tour. It’s her home and she would love to go there with Harry after the wedding,” said the source. Currently, the couple is back in England after concluding their first official trip overseas together to Ireland. On Tuesday, they attended the Nelson Mandela Centenary Exhibition at Queen Elizabeth Hall in the Southbank Centre. There, the couple met with prominent figures linked to the late South African icon, including his granddaughter, Zamaswazi Dlamini-Mandela. The visit drew comparisons to Harry’s late mother, Princess Diana, who traveled to South Africa 22 years ago to meet with Mandela.